Pet Crates are handy enclosures that have many uses and can be very helpful for housing many pets for short, supervised periods of time. Rabbits and Guinea Pigs are amoungst the Pets that benefit from the correct use of a pet crate. Read on to learn about how a handy, easy to store collapsible pet crate could benefit you and your pets! Please Note: A Pet Crate may not be not suitable for baby rabbits or baby Guinea Pigs, as they may escape through the gaps in the wire. 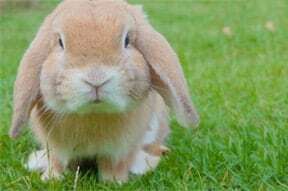 The RSPCA recommends that both Rabbits and Guinea Pigs have regular vaccinations from a local vet to prevent serious diseases. Unfortunately, from time to time your pet may become unwell and need to see a vet, or perhaps you are going on holiday and need to transport your pet to a friends place for care while you are away. Safely transporting your pet Rabbit or Guinea Pig does not need to be a hassle. Some groups advocate the use of pet transport crates (appropriately secured within the car). A pet crate will keep your Rabbit/s or Guinea pig/s safe and contained, whilst allowing them adequate ventilation for your car trip. 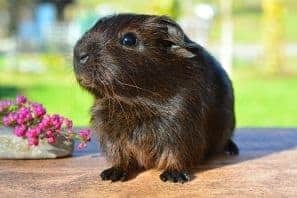 When choosing a crate to transport your Guinea pig or Rabbit, ensure you consider how many pet/s you will be transporting at the one time and their size. Make sure you select a pet crate that has enough room for your bunny or guinea pig to stretch out and lie down, sit up, stand up and easily turn around- it should also have room for a toy or two and perhaps a treat. If you are transporting more than one small animal at a time, make sure they are not sitting on top of each other and will have adequate space between them. Pet Crates come in many different sizes, generally bigger is better. If travelling a long way, ensure you also put food, bedding and water in the crate for your pet/s. Before placing your pet in a crate for transport, introduce your pet to the crate in a positive way. To get your pet used to the crate try feeding them in the crate with the door open, so they can leave as they choose. Gradually, as they become used to the crate and are no longer wary, try closing the door behind them for very short periods of time. It is important to get your pet used to the crate to minimise any stress to your Rabbits or Guinea Pigs when you need to transport them. Note: Remember to never leave your pet Rabbit or Guinea Pig alone in the car, even if it is for a short period of time. It is Recommend that Guinea Pigs and Rabbits have their home cleaned daily and bedding changed weekly. It can be hard to clean their enclosure whilst they are still playing in it, as they tend to make more mess, come up for cuddles and pats or may accidentally escape. To make it easier to clean their enclosure, consider temporarily housing them in an appropriate sized pet crate for a short period of time while you clean their home. When choosing a pet crate, consider how many pet/s you will be temporarily housing whilst you clean their cage. Also consider your pets’ size. Select a pet crate that has enough room for your bunny/s or guinea pig/s to stretch out, stand up, turn around and lie down without touching each other. Note: Be sure to place the crate in an area sheltered from harsh weather/predators. You may wish to provide them with their food, water and toys and partially cover the crate with a towel to create shelter. Never leave your pet Rabbit or Guinea Pig unattended in a pet crate. Even as pets, Rabbits still have a desire to hide in a “burrow”. Guinea Pigs are similar, as they enjoy playing and hiding. To encourage this behaviour and interact with your pet, you may consider using a pet crate in a sheltered area (out of harsh weather conditions) during supervised play time with your pet/s. Open the door to your pet crate and place it in your pets play area, which may be a room in your house or a playpen. Place a few toys or cardboard boxes for hiding, and/or some treats in the crate. Leaving the door to the crate open allows your pet to enter and leave as it wishes. You may wish to partially cover the Pet Crate with a towel. This could make for a fun game, and it also encourages your pet to see their crate as an enjoyable place, making it easier when it comes time to put them into a pet crate for transportation. Note: Be sure to place the crate in an area sheltered from harsh weather/predators. You may wish to provide them with their food, water and toys. Never leave your pet Rabbit or Guinea Pig unattended in a pet crate. This entry was posted in Guinea Pigs, Rabbits and tagged care, cleaning, fun, guinea pig, maintenace, playtime, rabbit, safe, transport.